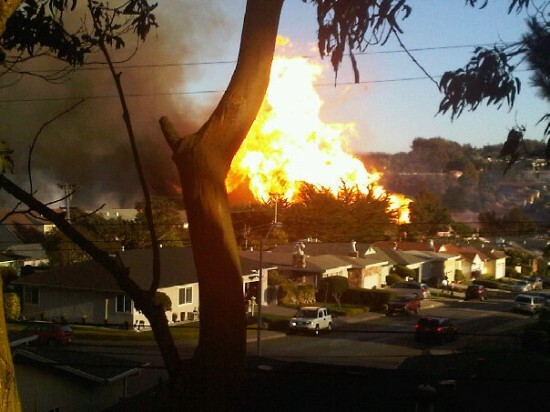 The recent gas pipeline explosion in San Bruno has brought much attention to the dangers of using natural gas as fuel in our homes. While the San Bruno disaster has raised concerns over the safety of our aging natural gas pipelines, a more likely disaster scenario for all of us in Northern California is an earthquake that causes a natural gas leak in our home. 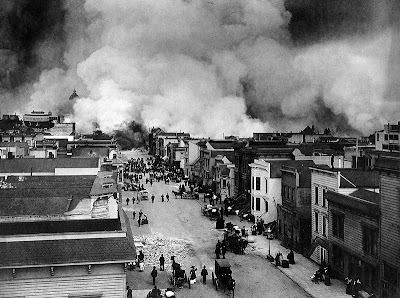 The recent disaster in San Bruno is not the first time the San Francisco Bay Area has experienced fires fueled by natural gas. After the 1906 San Francisco earthquake, it was estimated that 90% of the damage was caused by fires fueled by natural gas after the quake. 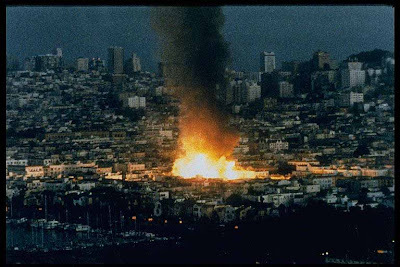 More recently, the Marina District in San Francisco burned from natural gas fires after the 1989 Loma Prieta earthquake. 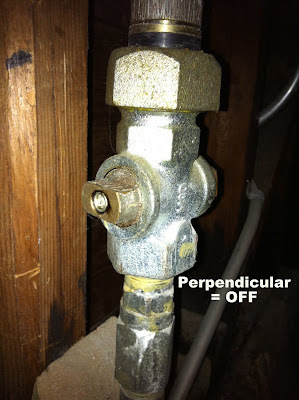 Step 1: Locate the point at which the gas line enters your home. 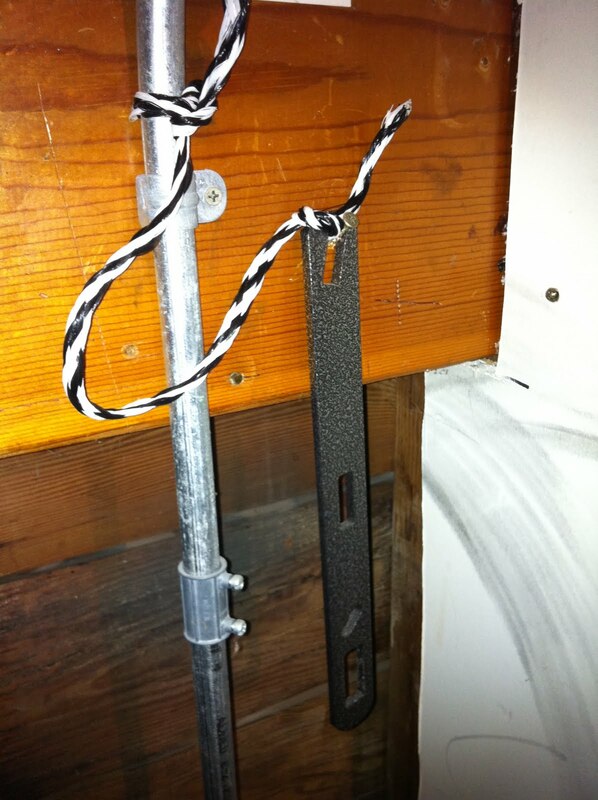 You should be able to locate this in the garage or ground level of your home. If you live in a rented home or an apartment building, ask your landlord where it is. Additionally, PG&E offers free furnace inspections. Have them come out to your home for an annual inspection and ask them to point it out to you. Step 2: Know how to turn the gas ON and OFF. 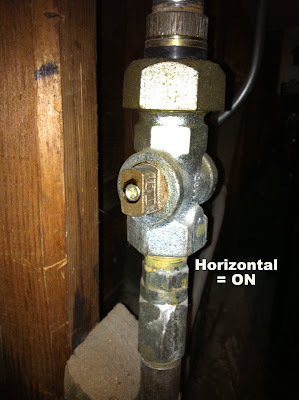 Step 3: Make sure a gas valve wrench is located near the gas valve. A gas valve wrench is an inexpensive item available at most hardware stores. Gas valves have fairly standard sizes so it is likely that the wrench you buy will fit your valve. To be sure, test fitting your wrench over the valve and ensure you are able to turn the valve (although be careful to not turn off the gas unnecessarily as you might extinguish pilot lights). Additionally, keep the gas valve wrench close to the gas valve where you can always find it; as the time you'll need to use it will be in an emergency. 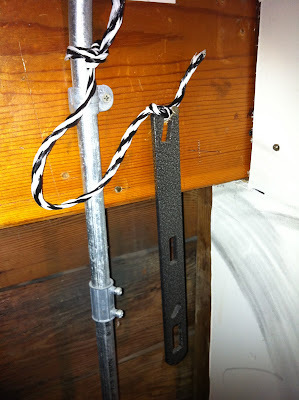 I have mine hung on a nail near the valve, but also have it secured with an easy-to-untie rope in case an earthquake knocks it off the nail. For more information about utilities during an emergency, check out the City of San Francisco's "utilities" page on 72hours.org. This is really informative. Nice post, Craig!